We’ve seen the changing of the guard in Major League Baseball. It wasn’t always the case that numerous players could get you 20-25 home runs, from nearly every position, but this happens to be the case in present-day baseball. Of course, with many players carrying this ability, we tend to go after the few that will get us to the 30 home run plateau, and higher. With that being said, we expect great production when we fill the first base position on our fantasy teams. Last season was a bit of a head-scratcher for the first base position. We saw early struggles from Anthony Rizzo and Paul Goldschmidt, but they were able to rebound and end the season as top-10 players at their respective position. Still, there were those that struggled out of the gate, and couldn’t get it going for one reason or another. This week, I want to look at the first base position in this season’s first installment of “That’s Amore!” First Base Bargains & Busts from 2018. Looking back at the 2018 first base production, there were numerous players that had success. Eleven players hit 25+ home runs. Of those eleven, seven hit for 30 or better, and one player, Joey Gallo, reached the 40 home run mark. Still, there was a lot of production from players that were either drafted late (Yonder Alonso) or went undrafted in many cases (Jesus Aguilar & Max Muncy). I don’t think it’s a far stretch suggesting Max Muncy was probably the one player, of the trio, that went undrafted in all leagues unless you are friends, family, or Max Muncy himself. The fact that these players were owned in a small percentage of leagues to start the season, makes their seasons even better. Aguilar and Muncy reached 35 home runs apiece (T-3 among 1B) and both were top-six among qualified first basemen in OPS. A lot of their value was found in playing time as Aguilar took over first base after Eric Thames went on the DL early into the season, and Max Muncy was called up immediately after Logan Forsythe went down. Both players took their opportunity and ran with it. The fact they were playing on contending teams, made their production even more valuable as both offenses were two of the best in MLB. While Yonder Alonso isn’t near the echelon of Aguilar and Muncy, he too put together a solid season and helped owners looking for a jolt to their fantasy rosters. He we was able to string together a second-straight season with 23+ home runs and set a career-best mark with 83 runs batted in. It was the second time in his career that he reached 500+ at-bats. With the exception of Alonso, Muncy and Aguilar are guaranteed to be drafted, and drafted early. Early drafts have seen both players drafted by the 11th round in 12-team leagues, and their 2018 seasons make it easy to see why they are going after a group that includes Paul Goldschmidt, Freddie Freeman, Anthony Rizzo, Joey Votto, Matt Carpenter, and Cody Bellinger. Still, if you miss out on these six, you won’t miss a beat if Muncy and Aguilar repeat their monster seasons. While Alonso finds himself playing for a White Sox team that lost 100 games, there is much to be excited about in the young prospects the Southside of Chicago has in store. When these prospects get the call, it could make for interesting production from Alonso. It’s difficult spending a draft pick on any player that doesn’t pan out. At 35 years-old, Miguel Cabrera’s in the twilight of his career. He’s playing for a Detroit team that was two losses short of 100, and three of his last four seasons have seen him play in 130 games or less. Sprinkle in the seven-year, $214 mil remaining on his contract, and you have a player that isn’t going to be moved. Prior to going down with a season-ending biceps injury after 38 games, Cabrera was having a decent year. The home runs weren’t there, but he was producing for a team destined for nearly 100 losses. Gone are the years in which Cabrera is a first-round, if not number one overall, pick, but he still could provide value in the late rounds. It’s hard to predict if a player can bounce back from heel and biceps injuries entering his age 36 season, but there will still be those who can’t find other options. If he’s available, and you’re desperate, take a shot, but buyer beware. Ryan Zimmerman and Jose Abreu were interesting cases in 2018. Zimmerman was coming off a season in which he set a career high in home runs (36), second-best season with 108 RBI, and a career-best .931 OPS. Much like Cabrera, Zimmerman wasn’t healthy during the 2018, and this limited him to 288 at-bats in 85 games. Entering his age 34 season, it’s hard to expect a season like 2017. Still, after finding himself as a bargain in 2017, Zimmerman was easily a bust in 2018. With the entire NL East, sans Miami, looking better entering the 2019 season, the Nationals are going to need a healthy Zimmerman to compete, especially if Bryce Harper signs elsewhere. Following suit with Cabrera and Zimmerman, Abreu’s 2018 was cut short due to a thigh injury. After averaging 31 home runs, 102 RBI, and a .885 OPS through his first four Major League seasons, Abreu fell short slashing .265/.325/.473 with 22 HR and 78 RBI. Early on, I wasn’t concerned because Abreu had started slow in previous seasons, but the production never rebounded. Add an injury with a White Sox team that lost 100 games, and it is easy to see why Abreu had a dismal season. Early on, Abreu carries an ADP of the seventh 1B coming off the board after Matt Carpenter. I understand it’s hard to call a player a bust after an injury-plagued season, but all three are ready to put 2018 behind them. Of the trio, I’m the highest on Jose Abreu. He turned 32 a few weeks ago, and is still the youngest of the three. Last season was the first that saw him battle a season-long injury, and reports suggest his thigh is healed. If he stays healthy, he’s the first baseman to own of Cabrera, Zimmerman, and him. 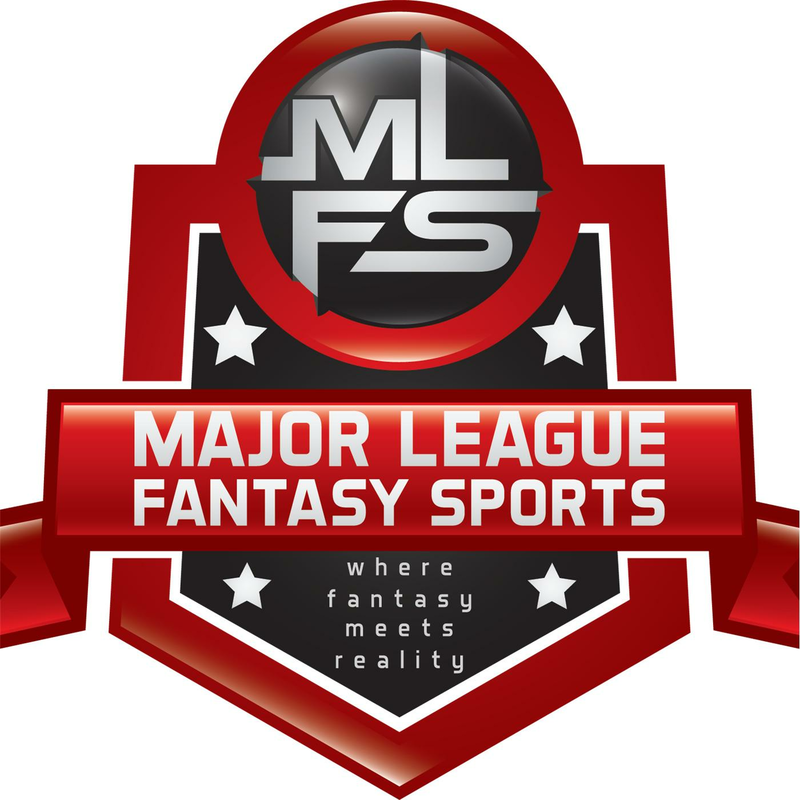 Major League Fantasy Baseball Radio Show: Join Corey D Roberts, EJ Garr, and Kyle Amore on Thursday February 7th, 2019 from 9pm – 10:30pm EST for the Major League Fantasy Baseball Radio Show. Call in number is 323-870-4395. Press 1 to speak with the host. This is our kick off show for the 2019 fantasy baseball season. For the next three weeks we will be breaking down the American League divisions. Our Sunday night show which runs from 8pm – 9:30pm EST will handle the National League starting Sunday February 10th. You can listen live on blogtalk, majorleaguefantasysports.com, or download the podcast on I-Tunes or any Android podcast app. Our topic for tonight will be the American League East. Major League Fantasy Baseball Radio Show: Join host Brian Roach, Jr, and Cole Freel live on Sunday February 10th, 2019 from 8-9:30pm EST for episode #136 of Major League Fantasy Baseball Radio. We are a live broadcast that will take callers at 323-870-4395. Press 1 to speak with the host. Join us for our first Sunday night show of 2019. We will be breaking down the National League divisions over the next 3 Sundays. You can listen live on blogtalk, majorleaguefantasysports.com, or download the podcast on I-Tunes or any Android podcast app. This week we will break down the N.L. East.